The aging process takes a toll on the brain and the mind, as well as the rest of the body. As people grow older, especially when they pass the age of seventy, they often begin to experience problems with memory and cognition. Most commonly, the person’s short term memory is the first thing affected. You’ll notice that they can’t remember things they heard or read recently. They’ll sometimes need you to repeat things in a conversation, or ask the same question several times. While initially, changes in memory and cognition — the person’s ability to think and reason clearly — can be rather mild, it’s important to have the person evaluated as soon as these signs and symptoms appear. Many causes of memory loss in seniors are progressive, like Alzheimer’s and the related condition Pick’s Disease. The nature of these diseases means that they get worse over time, due to the physical changes in the brain that cause them. If treated early, these underlying causes of memory loss can be managed through medications and other interventions, keeping them at bay longer and helping the person maintain a better quality of life for a longer period of time. It’s important that Alzheimer’s and other organic brain diseases are detected and treated as soon as the symptoms begin to appear. The archetype of the “forgetful old man” is quite ancient. As long as there have been humans, advanced age has brought a decline in a person’s ability to think and remember. While to some extent, these mental changes could be described as a “natural” part of aging, it’s very common that the cause is actually a distinct and diagnosable brain disease. For both seniors and their loved ones, it’s important to know what kinds of memory loss can be considered “normal” for an older person, versus what’s a sign of an underlying pathology like Alzheimer’s. A healthy elderly person might occasionally forget to pay a monthly bill, or make a poor decision about something, or misplace their car keys. A lot of healthy young people do those things, too. Being a little forgetful doesn’t always mean someone needs to be evaluated for Alzheimer’s. But when forgetfulness is persistent, consistent, and interferes significantly with someone’s everyday life, it’s a sign that something’s wrong. Here are some examples of memory loss symptoms that go beyond what’s normal for seniors. Difficulty performing simple tasks. Severe memory loss can cause a person to suddenly lose the ability to do basic things, like dressing themselves or cooking a meal, that they were normally able to do in the past. Getting lost or disoriented often, even in familiar places. The person may have trouble finding their way around and navigating familiar spaces. Forgetting what word to use. This symptom, known as aphasia, can point to other, more specific problems, beyond just memory loss. But seniors with Alzheimer’s and related disorders may often experience this inability to “find” the word that they’re trying to use. Behaving in socially inappropriate ways. People with impaired memory and cognition will sometimes lose their social “filter,” their sense of what is or isn’t “appropriate” in a given social situation. This is often related to physical changes in the brain’s frontal lobes, which affect judgement and decision making. Being unaware of the memory deficit. Most people with milder age-related memory loss are aware that they’re sometimes forgetful. People with more serious impairments often don’t even realize that they have a problem. These problems stem from physiological changes and abnormalities in the tissues of the brain itself. Milder forms of memory loss, like Mild Cognitive Impairment, aren’t generally severe enough to prevent someone from living independently. 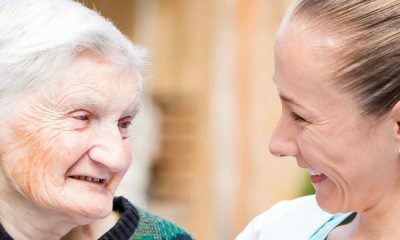 However, many causes of memory impairment are progressive, and may eventually reach a point at which the person may need to consider assisted living. The most common cause of memory problems is Alzheimer’s disease, a common degenerative brain disease with a very high prevalence among senior citizens. Some people develop Alzheimer’s quite early, as young as sixty, while others experience a much later onset. However, it’s important to note that not all memory loss is a sign of a potentially debilitating brain disease like Alzheimer’s. There are also causes that are more mundane, and easier to reverse. Depression. Many seniors experience symptoms of depression and other mood disorders. While clinical depression is caused in part by psychosocial factors, it also involves physiological problems in the brain. In most people, depression is accompanied by neurochemical irregularities, often involving a neurotransmitter called serotonin. People with depression experience cognitive problems as well as a persistent low mood, and often have trouble concentrating on things and retaining information in their short-term memory. Depression isn’t something that can quite be cured, but it’s a very treatable condition. Medications like SSRIs can help mitigate the neurophysiological causes, while talk therapy, cognitive behavioral therapy, and other interventions can help people address psychosocial factors. Vitamin B12 deficiency. Seniors tend to be more susceptible to vitamin deficiencies than younger adults, and these deficiencies can affect thought and memory. In particular, vitamin B12 deficiencies are known to impact short term memory. Some diabetes medications like Metformin can also impair the body’s ability to absorb B12, making this a common issue in seniors with Type 1 or Type 2 diabetes. Thyroid problems. The thyroid gland is part of the body’s endocrine system, and is involved in metabolism. Hypothyroidism, a medical condition in which the thyroid gland isn’t producing enough hormones, can cause memory loss as a side effect. When a doctor is evaluating someone who’s experiencing memory loss, these are some of the things they will need to rule out as potential causes. Dementia is an umbrella term used in medicine to describe sets of symptoms that involve impaired memory, poor judgement and decision making, aphasia and other language impairments, and other problems related to cognition, learning, and memory. While Alzheimer’s disease is the best known, there are other, similar brain diseases that can also impair memory and cognition. Mild cognitive impairment. Mild cognitive impairment is a clinical diagnosis for patients whose memory loss is significant, but who are generally still able to live independently. MCI can sometimes progress to Alzheimer’s and other forms of dementia, but in many patients, the degree of impairment stays stable and manageable for years. Alzheimer’s disease. Alzheimer’s is the best known disorder that causes memory loss and cognitive impairment. The onset can be relatively early, or quite late in life. Some people begin to shown symptoms of Alzheimer’s as young as their early sixties, while others don’t develop the condition until their eighties. The formation of “plaques” in the brain, as well as other protein abnormalities, are associated with the disorder. Lewy body dementia. Like Alzheimer’s disease, Lewy body dementia is a progressive disease of the brain, the onset of which usually occurs during old age. It’s associated with abnormal collections of proteins, called Lewy bodies, that form inside of neurons. The Lewy body formation eventually kills the cells, and the damage is widespread and found throughout the brain. 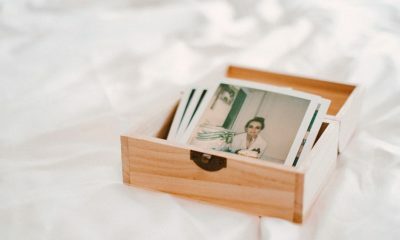 While memory loss isn’t always present early in the disease’s onset, it’s generally a factor later in its progression. Along with memory problems, Lewy body dementia also causes other forms of cognitive decline. Frontotemporal dementia. Frontotemporal dementia causes deficits in memory, spatial skills, perception, and the ability to perform normal motor tasks. Notably, it’s associated with various aphasias — language deficits that can include loss of comprehension for individual words, difficulties in speech production that prevent a person from speaking smoothly and coherently, and poor language comprehension. The underlying cause is atrophy in the frontal lobe regions of the brain, which are involved in executive function, motor planning, language processing, and decision making. Poor judgement and impulsive behavior are common in patients with this form of dementia. As you can see, Alzheimer’s is just one of several progressive age-related brain diseases that can cause a gradual and often severe decline in a person’s ability to remember things, to make decisions, and to otherwise process information. Another cause of memory loss in seniors is brain damage resulting from a stroke. An estimated 30% of stroke victims develop dementia within a year, due to lesions in brain tissue left after their stroke. Stroke sequelae — brain damage and resulting problems caused by strokes — are actually one of the leading causes of dementia and other forms of cognitive impairment. Strokes result from problems with blood flow in the brain. In a hemmorhagic stroke, there is bleeding in the brain tissues, or in the membranes surrounding the brain. In ischemic strokes, blood flow to areas of the brain is blocked by blood clots. Within minutes of the onset of a stroke, brain tissue is damaged, and brain cells die. In many cases, the resulting damage will impact the person for the rest of their life. In elderly patients without pre-existing dementia, having a stroke can still cause a progressive decline of memory, abstract cognition, and spatial reasoning. Coping with brain damage after a stroke is a challenging thing to go through, for patients and for their loved ones. Unlike progressive diseases that cause dementia, which unfold gradually over a matter of years, memory loss and cognitive impairment after a stroke has a comparatively sudden onset. This often means that the person will need to go into an assisted living or skilled nursing facility, despite having lived independently or with minimal assistance before the cardiovascular event. The onset of age related memory loss can be very gradual, and the early signs can be relatively subtle. Forgetfulness is expected to some extent during old age, so it can be difficult to figure out at what point someone’s poor memory has gone beyond the normal effects of aging. 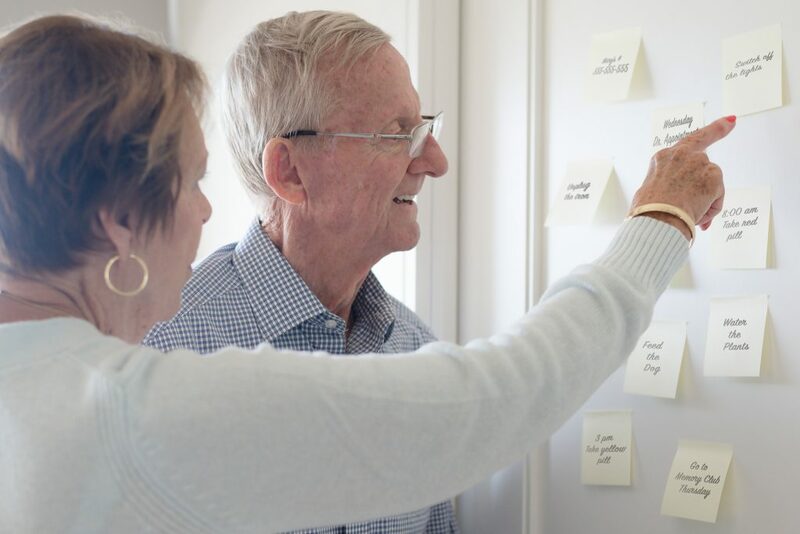 Memory loss and dementia are almost always progressive, and when Alzheimer’s or another condition has been diagnosed, the person and their caregivers will need to make long term plans that account for the fact that their memory will continue to decline. Early diagnosis is important, and detecting Alzheimer’s in its early stage can improve the prognosis for a patient. In its early stages, the progression of the disease can be slowed through the use of medications, usually cholinesterase inhibitors. Starting treatment early can help prolong the person’s ability to live independently, delaying further memory loss. 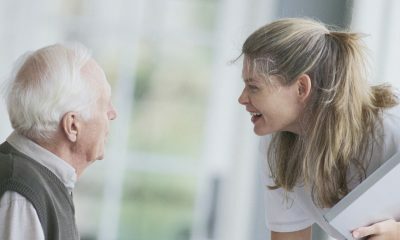 At some point, you may begin to notice that an elderly parent or spouse seems to have trouble remembering things, to the point where it becomes very noticeable to other people. As we’ve mentioned, there are relatively benign issues like thyroid imbalances or mood disorders that can cause memory loss that’s ultimately reversible once the underlying cause has been treated. But as a person grows older, their likelihood of developing Alzheimer’s or another neurodegenerative disease increases substantially. After age 65, a person’s risk of developing Alzheimer’s doubles every five years. If someone starts showing the signs of memory loss we were discussing above, it’s a very good idea to get an evaluation from a doctor. If someone’s concerned about experiencing memory loss, the first step is generally to talk to their family practitioner. From there, they may be referred to a specialist, which can include a neurologist, and in some cases, a neuropsychiatrist for certain kinds of testing. As we’ve mentioned already, memory loss and other cognitive deficits, like language problems or impaired decision making, can have quite a few different possible causes. The differential diagnoses — the different possible causes that physicians will need to consider and rule out — can range from vitamin deficiencies to severe tissue pathology in the brain. Here’s an overview of what you can expect from the diagnostic process when a geriatric patient presents with memory loss. This chart from the American Association of Family Physicians gives a quick visual overview of the diagnostic process for patients with memory loss due to Alzheimer’s and other forms of dementia, starting with an initial mental status examination. The process will often start with a mental status exam. These are tests, given verbally in person, that screen for dementia and cognitive impairment. The Mini Mental Status Exam (MMSE) is the most commonly used, and often is the first test the person will be given. It’s designed to evaluate short term memory, alertness, and orientation. It checks whether the person can pay attention, and is aware of where they are, what day and time it is, and who’s currently the president. A score of less than 24 indicates that the person has some degree of cognitive impairment. The Blessed Information Memory Concentration test asks the person to do things like count forwards and backwards, and recite the months of the year, to assess their short term memory and concentration. Short Test of Mental Status is a quick test that takes about five minutes. It evaluates orientation, recall, abstraction, simple calculations, copying drawings, and drawing clock faces set to particular times. A score of 29 or less, out of 38, indicates impairment. The Functional Activities Questionnaire is actually administered to a family member or friend who knows the person well. It’s designed to assess how independently the person is able to take care of basic chores and tasks. It’s a supplement to other tests that measure the person’s memory and cognitive function directly. Neuroimaging studies can help physicians determine the right diagnosis. It’s not used in every single case, which can depend on the person’s symptoms and the probable cause of their memory problems. The form of neuroimaging used is usually a posititron emission tomography (PET) or photon emission computed tomography (PECT) scan. Magnetic resonance imaging (MRI) is also used. Neuropsychiatric testing consists of various tests that evaluate a person’s higher cognitive functions, memory capabilities, and behavioral functioning. They’re specially designed to help pinpoint the exact impairments a person is experiencing, which points toward their underlying causes. For example, a person with memory loss from frontotemporal dementia will exhibit a certain set of problems with judgement, language, and motor function. These symptoms result from pathology in the frontal lobes, which are involved in those functions. For many seniors, memory problems aren’t severe enough, at least early on, to interfere too much with their ability to handle living independently. But for others, living alone becomes a safety hazard. Many assisted living and skilled nursing facilities specialize in memory care for patients who have dementia. But when is it time? When does a person lose the ability to safely live alone? This isn’t always a cut and dry issue, but here are some questions you can ask. Has the person gotten lost in familiar places, like their own home or their own neighborhood? Can they remember important information like their name, address, and birthday? Do they forget things that can put them at risk of injury or harm, like forgetting to lock their doors or forgetting to turn off the stove? Can they manage routine personal care, like bathing, brushing their hair and teeth, and putting together meals? Is the person able to remember to take any prescribed medications every day? Do they seem more fearful and suspicious toward other people than normal? If the answer is “yes,” it may be a good idea to consider memory care at this point. This is especially true if your own caregiver activities are interfering with your work and home life, due to the level of care the person needs. As with any assisted living or nursing facility, you should take a tour before committing. It’s a good idea to check with a number of facilities in your area, so you can find the right fit for your loved one and your budget. When touring a memory care center, here are some questions to keep in mind. How secure is the facility? Many patients with serious memory loss and dementia may confusedly try to leave the facility on their own. It’s important for these institutions to keep entrances locked, keep a close eye on elevators, and otherwise have good security practices to prevent “exit-seeking behaviors” in residents. At some facilities, especially those that cater to residents with very serious memory loss, seniors may be fitted with special tracking bracelets and personal security alarms. 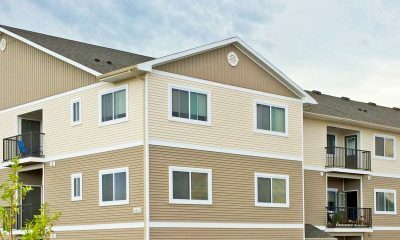 Are there structured activities for residents? This is important for maintaining a good quality of life. Good memory care centers organize daily activities, supervised by nurses and other staff, that help keep residents entertained and comfortable. This can include things like arts and crafts, baking cookies, singing together, and having therapy dogs visit. Is psychiatric care available? It’s very common for seniors with memory loss to suffer from depression, anxiety, and other mood disorders. How are the caregivers trained? Ideally, there should be skilled nursing professionals on duty 24/7, in case of a medical emergency. Ask about what kind of training their staff receives. What qualifications do they need to get the job? What ongoing training are they provided with while employed? What is the ratio of staff to residents? Sadly, many care homes are understaffed, which impacts residents’ quality of care. What’s their discharge policy? A resident can be evicted from a memory care assisted living center, and it’s important to know when and why this can happen. A patient may be evicted if they’re aggressive and combative with staff or with other residents. With that said, those kinds of behaviors are very common in patients with dementia, and the facility should be able to handle them, at least up to a point.